CALDWELL — The Boise VA is one of the highest rated VA facilities in the country, however, it can also be a long drive for veterans to get downtown to receive the services that they need. That is where the mobile vet center comes in, it's a large truck that will bring those services to different parts of Idaho and into Oregon. 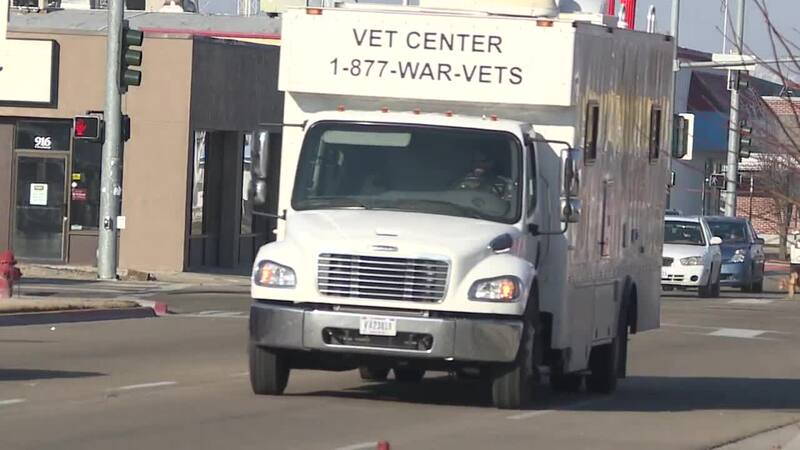 "We meet with veterans in small towns who may not have services," said Dan Ashley who operates the mobile vet center. We caught up with Ashley on a trip to the Caldwell Memorial Hall in an effort to bring resources to the western Treasure Valley. "There is a huge body of veterans, 20,000 in the western end of this valley and when you add in their dependents we are talking a large populous," said Terry Harrell of the Caldwell Memorial Hall. Ashley also clued us in on an open burn pit barrel registry for troops who deployed to Iraq and Afghanistan after 9/11, the U.S. Supreme Court recently denied an appeal by veterans who filed a law suit against private contractors for the burning of hazardous materials that they claim caused respiratory problems and other health issues. "For Vietnam it was Agent Orange, for Desert Storm it was the Gulf War registry and for Iraq and Afghanistan we have burn pit exposures," said Ashley who deployed to Iraq in 2003. "The VA is trying to take steps to take care of their veterans and these registries help them track symptoms of what veterans may experience." Here is a link to an article written by the Military Times on the latest on burn pits down range. Veterans who deployed to Iraq and Afghanistan are encouraged to join the registry, here is a link to the survey.